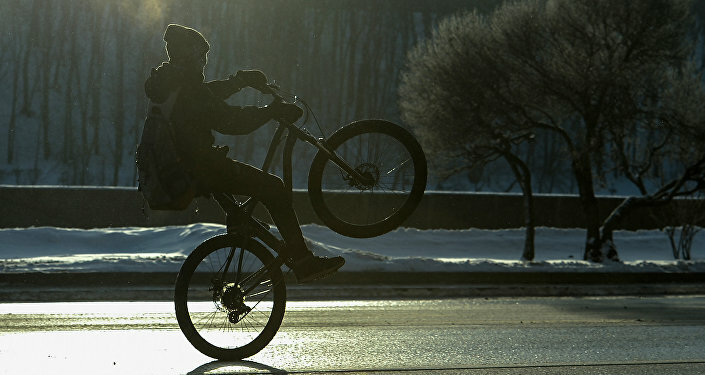 The Moscow Winter Bicycle Parade was held for the second time on January 8. It seems nothing could have stopped the enthusiasts: more than 500 people participated in the event, even though the air temperature was anomalously low for the Russian capital in this time of the year. 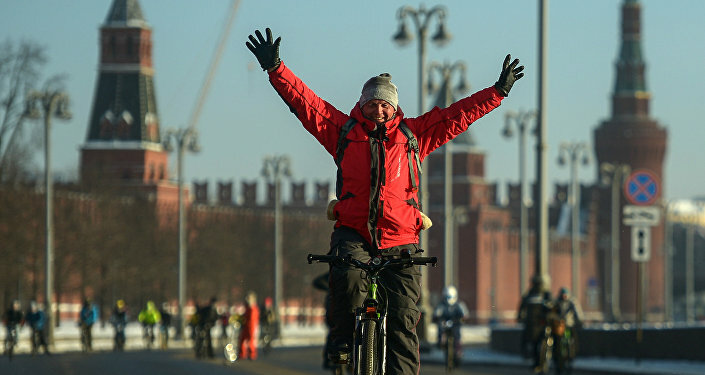 The second Moscow Winter Bicycle Parade was held to support the development of cycling infrastructure and road safety, in spite of the orange danger level, which was announced due to continuous severe frosts in the city. The air temperature was 25-27 °C below zero (-13-16.6 °F) in the first half of the day. Over 500 of warmly dressed (or super cold tolerant) cyclists gathered in the morning for an hour-long parade. — Oksana Baulina (@oksana_baulina) 8 января 2017 г. 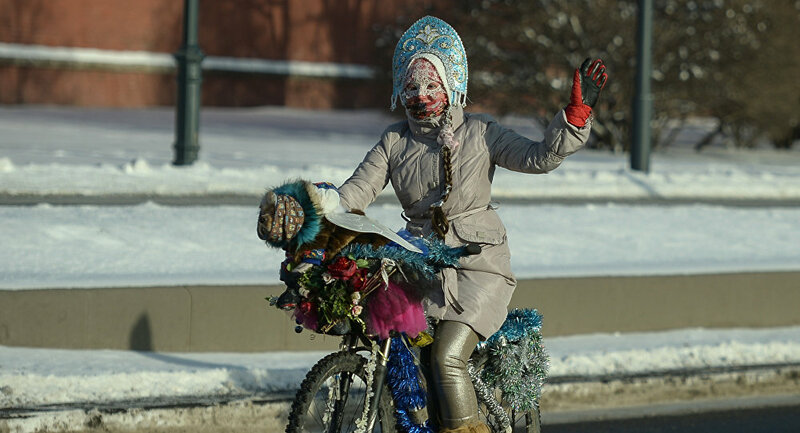 ​"Nothing special, just a participant of the Moscow Winter Bicycle Parade"
The event is not a sport race: people of all ages and of any physical training were welcomed to participate. The average speed of cyclists during the parade did not exceed 14-15 kilometers per hour. To ensure the safety of the parade participants, emergency medical brigades and Russia's Ministry of Emergency Situations (EMERCOM) staff kept watch at the start and the finish of the Winter Bicycle Parade. According to the Moscow Healthcare Department, none of the participants sought medical help after its completion. 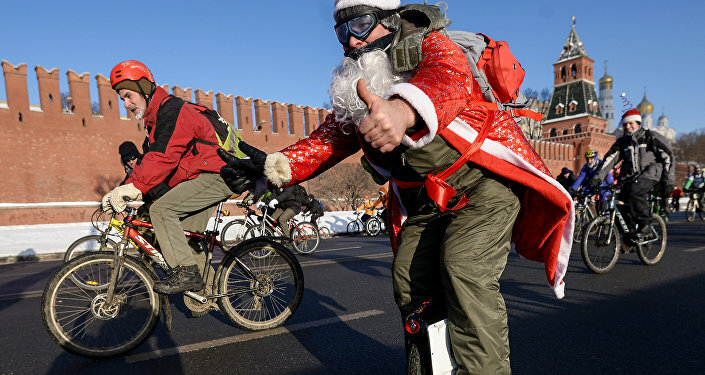 The Moscow Winter Bicycle Parade was organized by the biggest Russian cycling development project "Let's bike it!" with the Moscow Transport Department's support. On January 9, 2016, the Russian capital hosted the first Winter Bicycle Parade, which gathered more than 3,000 people despite cold weather.